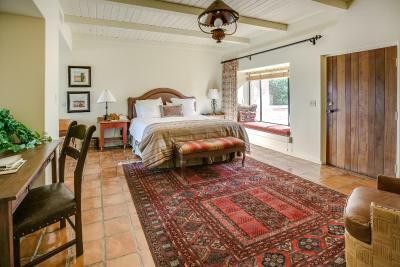 Lock in a great price for Rancho de los Caballeros – rated 8.5 by recent guests! Homey atmosphere. Great gas firplace!, Freindly staff. Restaurant staff were very good. Front desk helpful but could be better informed. Nature walk outstanding. Grounds lovely. Room clean. Everything- for my family who loves nature- this place was so magical. Great introduction to horseback riding. Staff was very friendly- slight mix up with scheduling of a few activities but they accommodated with no hassle. We will go back. The breakfast was included in the room and there was a very nice selection of hot and cold foods. 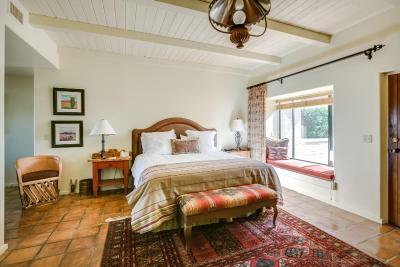 Rancho de los Caballeros This rating is a reflection of how the property compares to the industry standard when it comes to price, facilities and services available. It's based on a self-evaluation by the property. Use this rating to help choose your stay! 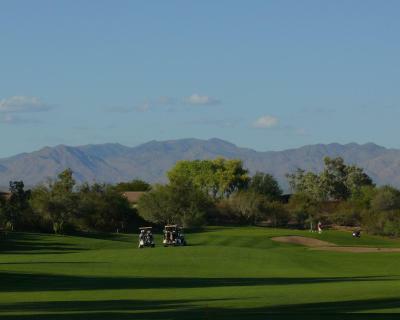 Offering a year-round outdoor pool and a golf course, this resort is located in Wickenburg. Rooms feature a patio with views. Guests can enjoy a spa and wellness center and a restaurant on site. A free ranch style breakfast with omelets is offered daily. 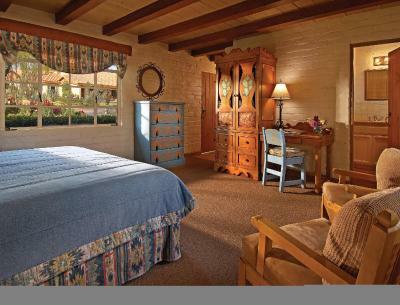 Each air-conditioned room includes a private entrance, a work desk and a flat-screen cable TV at Rancho de los Caballeros. An private bathroom equipped with a hairdryer is also available. 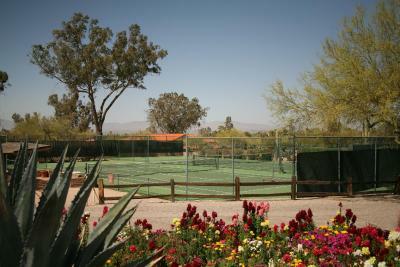 An 18-hole golf course and a full service horse riding stable are available on site. Rancho de los Caballeros Dining Room serves Southwestern cuisine for breakfast, lunch and dinner. The Grill at los Caballeros offers light fare with golf course views. Wickenburg Municipal Airport is 5 minutes’ drive from the resort. Desert Caballeros Western Museum is 3.2 mi from Wickenburg Rancho de los Caballeros. 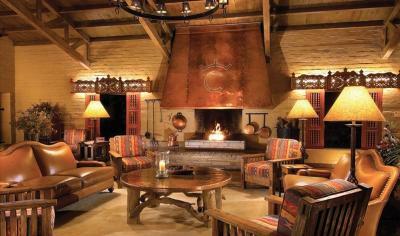 When would you like to stay at Rancho de los Caballeros? 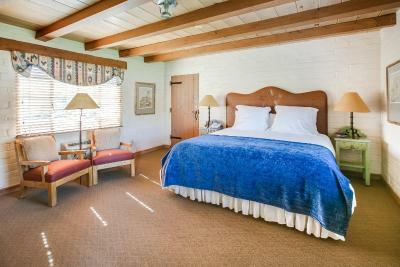 This room features free WiFi, a patio with mountain views and a flat-screen cable TV. An private bathroom is also included. 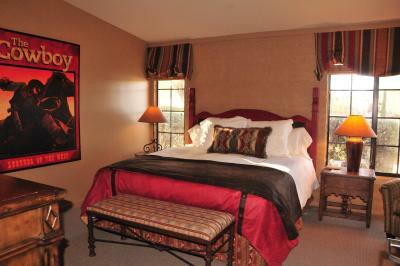 This room features free WiFi, a patio with mountain views and a flat-screen cable TV. Coffee-making facilities are also included. 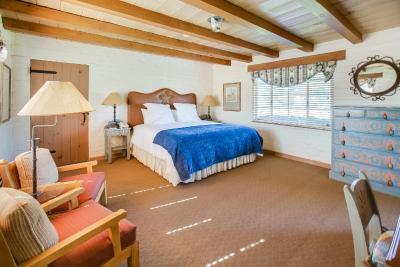 This room features free WiFi, a patio with mountain views and a flat-screen cable TV. A microwave and a small refrigerator are also included. 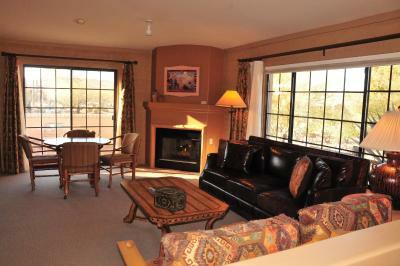 This room features free WiFi, a patio with mountain views and a fireplace. An private bathroom is also included. 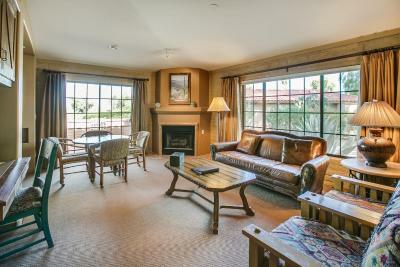 This room features free WiFi, a patio with mountain views and a fireplace. An private bathroom with a spa bath is also included. 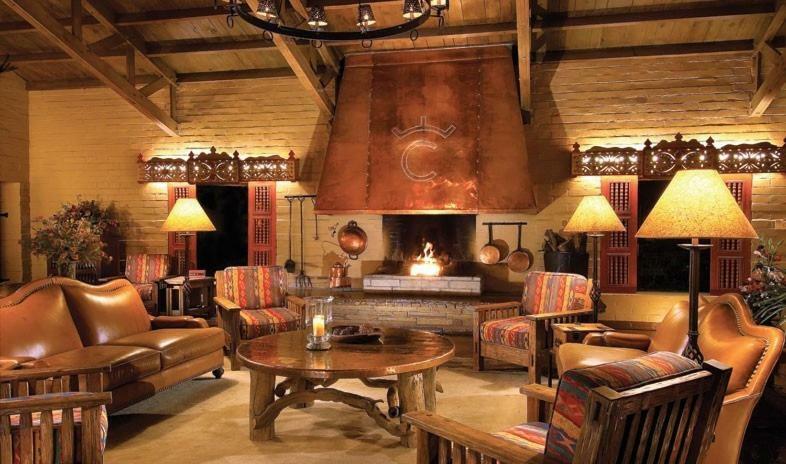 House Rules Rancho de los Caballeros takes special requests – add in the next step! Rancho de los Caballeros accepts these cards and reserves the right to temporarily hold an amount prior to arrival. More information available regarding the event. Room a bot dated 1970s. We had a recurring problem with the toilet in our room not flushing, and that actually detracted from our enjoyment a lot. Very overpriced. Our room lined up in a row with other rooms giving the appearance of a roadside motel. People could look in as they passed by. Almost no amenities. Not a bottle of water in the room much less a welcoming gift. Access to toilet was partially blocked by door making it necessary to sit sideways. We could hear every word spoken by couple in next room. When I went to the clubhouse the morning after our arrival, there was coffee but, when I asked for a latte, I was told the machine wasn’t working. When I went to the vending machine across from our room (brightly shining in the desert night), it was almost empty. There was no reason for this since the resort was far from full occupancy. Men are required to wear jackets in the dining room. Expecting it to be elegant, we found it very ordinary. The biggest disappointment was the patio. 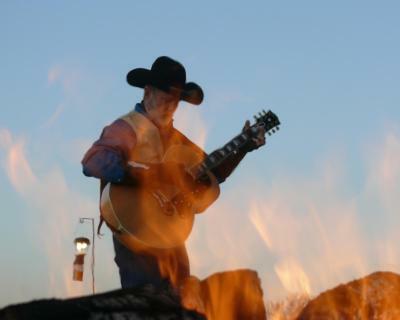 We went to the ranch to celebrate my wife’s birthday. She mostly wanted to sit on the patio and read. She never went outside. It was nothing but stained concrete surrounded on all sides by more concrete. It consisted of three cheap foldable lawn chairs and absolutely no greenery. It was not possible to see over the outer wall which when seated. Standing, you had a good view of a large metal utility box on one side. We checked out early on her birthday, wasting much money and time (a 4-hour drive each way). Really nothing- would have liked the kids club to have a few more structured activities- but we came at tail end with of spring- so that may be why.